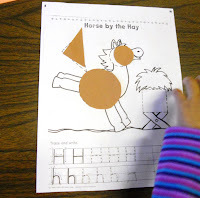 In the Pre-K class we have been continuing our letters for our ABC books. They are doing really well and I am also excited at how much they have improved with writing their names. 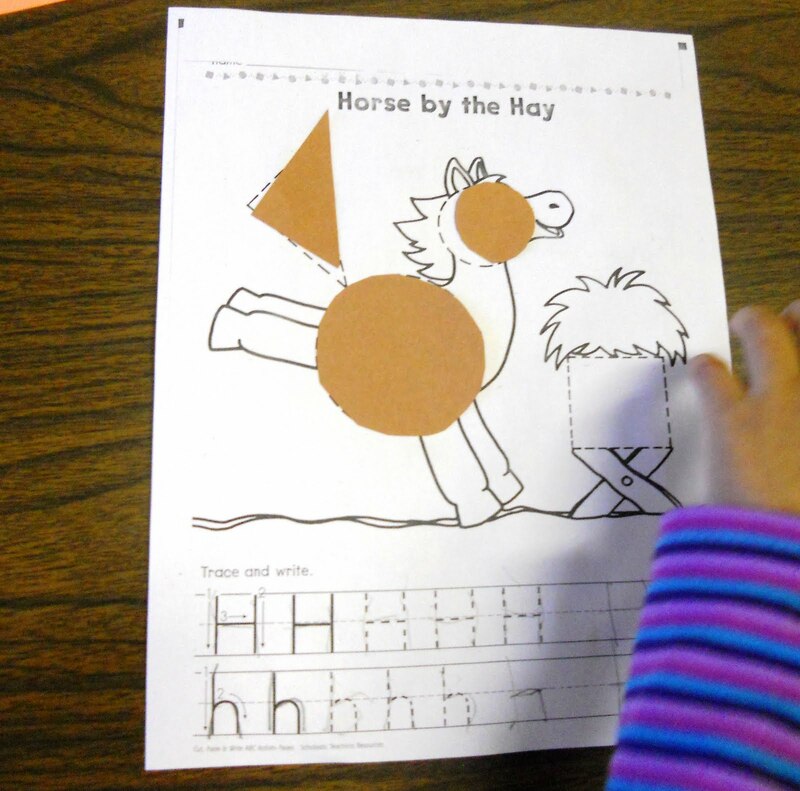 The letters we have completed are H, T, and I. 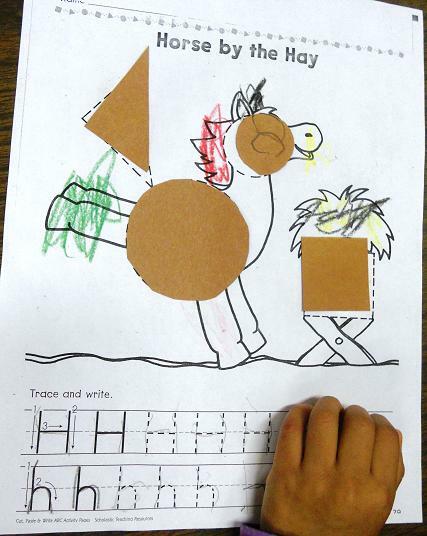 For the letter H our book page was a horse by the hay. 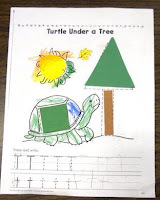 If you remember, I also take one day and have them make a picture for the letter. 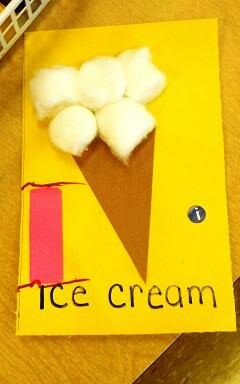 For H I had them make a house. The children go a square and a triangle. 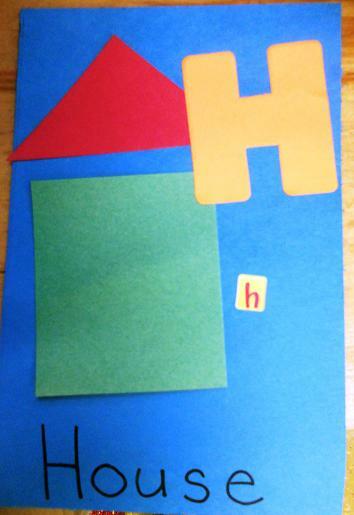 They glued them together to make a house. 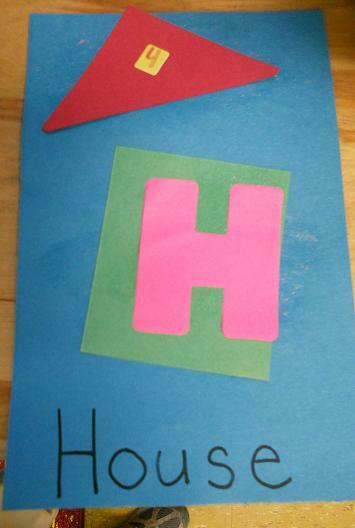 Then they found the capital H and lower case h and added them to the picture. Letter T was next--a turtle under a tree. 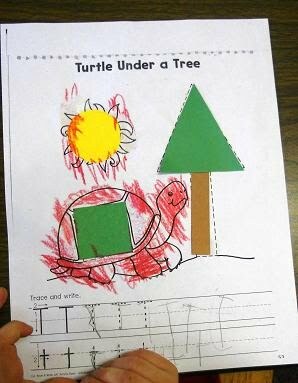 Our picture was a tree. 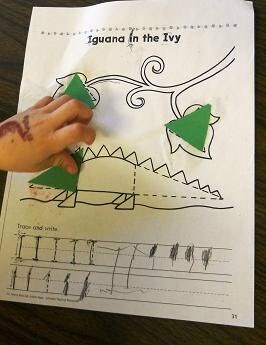 The children glued a rectangle for the tree trunk. 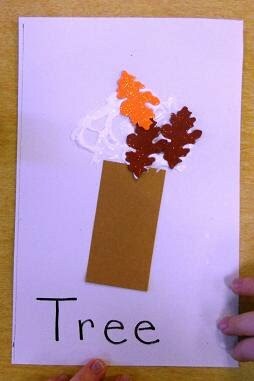 I then had some foam leaves which the children used for the top of the tree, then added the capital T and lower case t.
Finally, letter I. 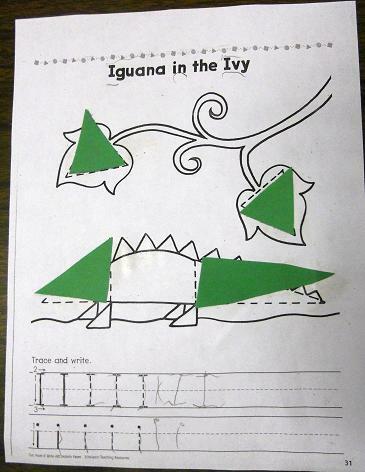 For this letter we made an iguana in the ivy. I then had them make an ice cream cone. 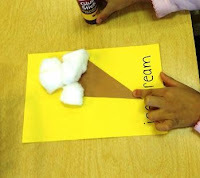 For the picture the children glued a triangle for the cone and then added cotton on the top for the "ice cream." 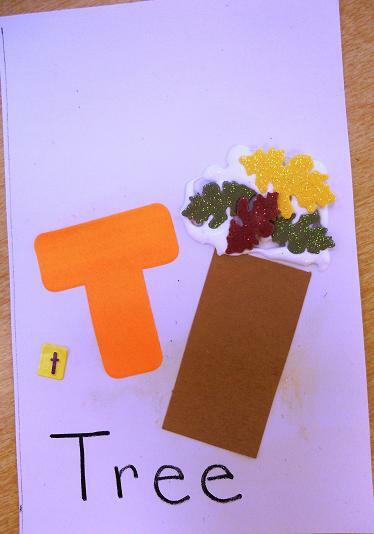 And, as always, we added the capital I and lower case i. Next week we move on to letters with curves.